After the longest January ever, it’s finally February! It’s a month of love, cool (at least for LA) weather, and overindulging on sweets. With so many incredible events happening, we’ve narrowed it down to these 11 awesome things to do in February 2018 in LA! With a Confidence Coach, Andrea Hausmann of Coco Haus, a Dating Coach & Therapist, Bree Jenkins of The Gathered Life, and The LA Girl Founder, Gwen Lane, by your side, these ladies will help you avoid some of the pitfalls that comes with dating in this beautiful city. Get your tickets now! February 12 from 1pm – 7pm, indulge in circus snacks, be amazed by a magician performing his card tricks, and take photos in the Broken Hearts photo booth at Angel City Brewery. Being single in LA isn’t so bad! 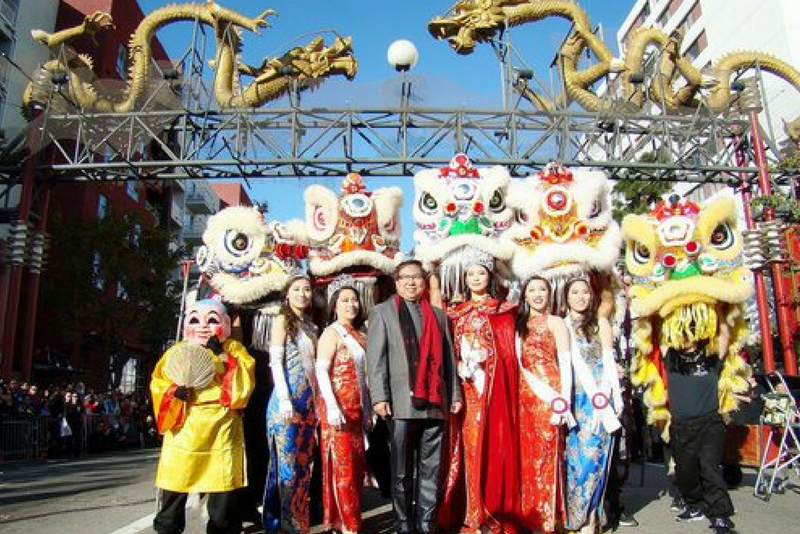 Saturday February 17th is the 119th Golden Dragon Parade. Celebrate the Year of the Dog with almost two dozen floats, marching bands, and cultural groups! Head to Huntington Beach, Long Beach, Marina del Rey, or Newport Beach for a romantic ride with your own private gondolier? Is there anything more romantic than champagne, dinner, and views of Long Beach harbor? Harbor Breeze Cruises just made your Valentine’s Day plans a breeze. Long Beach’s Mardi Gras Festival is a family-friendly celebration complete with live music, bead throws, and fun! Pasadena’s Black History Parade and Festival honors African-American history and heritage. This free event is family-friendly with music, revelry, and food for purchase. Fellow coffee addicts unite! Take classes, watch presenters, and take in all the aromatic goodness at this year’s CoffeeCon February 3-4. This mile-long pantsless run is not only fun, but for a good cause! Cupid’s Charity is striving to end Neurofibromatosis. A run that begins with drinks and ends with a dance party? Sign us up! Planning a trip? Just love travel? There’s something for everyone at the Los Angeles Travel and Adventure show. Get your tickets now for the public show hours on February 24 and 25. Maybe your New Year Resolutions are going so well or you just made a dumb mistake at work – head over to the Museum of Failure! Misery does love company, and the exhibits just may remind you that you are not alone. Once you’ve conquered everything on this list, head to Disneyland to try out these cool hacks!